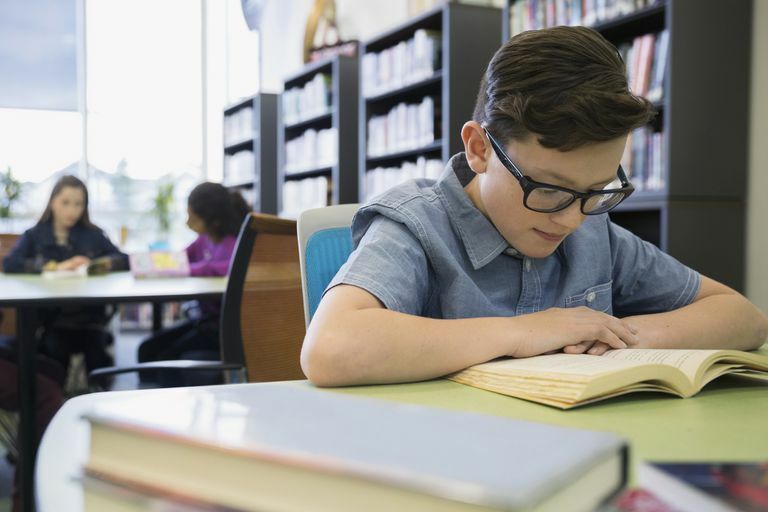 Students with specific learning disabilities in basic reading, reading comprehension, and dyslexia need effective strategies, such as PQ4R, to understand what they read and to remember details of what they've read. This strategy can also help students without disabilities improve reading comprehension and retention. The PQ4R strategy is a good study skill that can be adapted for students of all ages. This strategy will not only improve the student's reading comprehension but will also likely improve recall of facts by as much as 70 percent. PQ4R is an acronym for preview, question, read, reflect, recite and review. Learn how to use the strategy with the six steps that follow. Look through the pages of your reading passage and read the headings of the chapter and any sections dividing the chapter. Read the first and last paragraph of each section. View the illustrations in each section. Read the captions under the pictures and take a few minutes to look at charts, graphs or maps. This will help you synthesize the information. Think about the information you learned in the preview. Ask yourself questions about it. Think about what you already know about the ideas you saw during your preview. What do you think will be the main points raised in the chapter? What do you expect to learn from reading this material? Are there any questions you have that you'd like answered? Think about the material. Discuss it with someone else or write down the main points you learned. Generally, writing information down by hand will improve the memory of the material. If writing is a problem for you, consider brief notes or discuss the material with other students. It is important to summarize the material in writing using your own words. Explain it aloud to someone else or recite your notes aloud to yourself. Consider using a graphic or visual organizer to increase your understanding of how concepts in the reading relate to each other. Use the PQ4R strategy with new reading materials, such as articles, books, and short stories, to improve comprehension and retention. This can lead to better grades and improved achievement in all school subject areas.